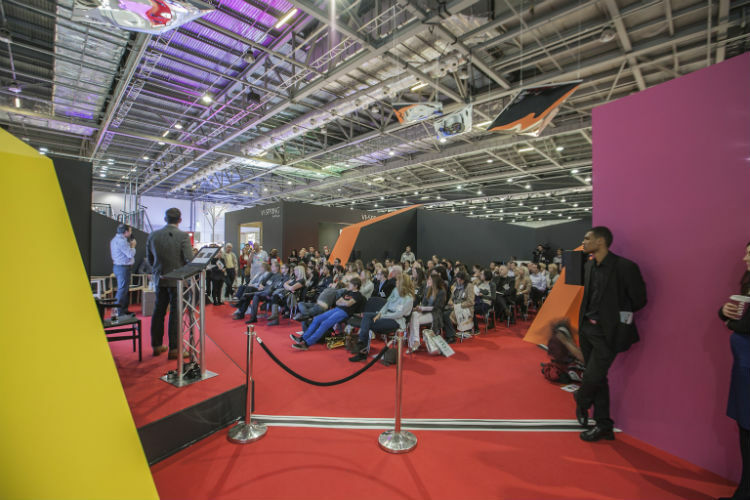 A mass of industry experts will take over two stages at The ExCeL London for May Design Series; one stage dedicated to interior spaces, the other to lighting. 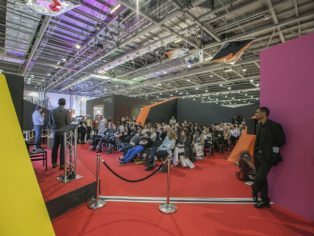 Organised by UBM Live Built Environment, the three-day show will see un-missable content across both stages from professionals among the fields of retail, contract and lighting. Approaching all aspects of the industry – from business, retail and customer service, to the latest trends, designs and ecommerce- the speakers will share valuable insight with retailers, interior designers, architects and lighting specialist, all in attendance. May Design Series is delighted to welcome acclaimed Danish designer Johannes Torpe, Founder of Johannes Torpe Studios and Creative Director of Bang & Olufsen whose keynote speech will deliberate at ‘the entertainment’ behind retail design and how revaluating the customer experience can create beautiful, immersive and magical spaces. If you want advice on how to bring your brand to life, Tim Mutton, Founder and CEO of Blacksheep is your man. His award-winning design agency has ‘the experience’ at its core, showing how design can create the ultimate customer experience – from first impression through to repeat visit. For eager retailers Philip Hanford at Campaign and Chris Sanderson at Future Laboratory together will speak about their current project with Selfridges London, hot of the press after its launch – not one to miss! A first for May Design Series is our Retail Roundtable presented by The Furnishing Report. Bringing together some of the most influential names in the business for an in-depth interactive discussions. Five retail leaders acting as table hosts will sit down with 50 retailers to look at the day-to-day fundamentals that matter most, from property expansion to product selection. The findings will then be presented live on stage to a dedicated Conversation Series session open to all visitors to the show. For retailers, it’s a not-to-miss opportunity to network, share insights and learn from their peers. Serving the contract market, Craig Knight, Director, IDR will ponder expensive design statements. Some of the best design decisions are made by the people who use the space. At this session you can hear Craig’s insights into the spaces that work, informed by his unique fusion of psychology, management and design. Andrew Budgen, Director, Spacelab will walk us through projects he has worked on with Virgin Money and Leo Burnett that fuse stunning interiors spaces whilst really getting to the heart of a company’s values to better work together. Pippa Nissen, Nissen Richard Studio too will explain from the eyes of an architect and theatre designer the key to unlocking an amazing space – drama and excitement – in order for its inhabitants to come alive. With an impressive portfolio of architecture, theatre and exhibition work, Pippa brings elements of each of these fields together to create beautiful, dynamic and unforgettable spaces. Also joining the series is Robert White, consultant on architecture business strategy to some of the biggest l firms including, Zaha Hadid, Richard Rogers and OMA. Proficient in both winning and negotiating work this is a key seminar to attend for business advice and development. Interior Architect of the Year Simon Jordan from Jump Studios will talk through the idiosyncrasies of how to bring a brand to life through interior design; how branding can permeate every aspect of interior space and how to distil the quantities of brand and make them come alive in your desired space. New for this year, the Lighting sector of the show will play host to the Designers With Light Forum, a free-to-attend 3-day lighting design conference with a difference. Organised by the team behind mondo arc and darc magazines and sponsored by Concord, acdc, Megaman and Lumenpulse, the Designers With Light Forum will offer a more diverse range of presentations by reaching out to design professionals outside the lighting industry as well as within. Presenters will include Lighting Designers, Architects, Product Designers, Manufacturers and Interior Designers – a select band of experts who have different experiences of working with light. The goal of the Designers With Light Forum is to combine an exceptional conference programme with a unique networking platform that brings together individuals and companies who have not previously had the opportunity to all meet in one space. Highlights include Eoin Billings of Billings Jackson Design who will dissect the designer’s role in redefining light. The fundamental shift from analogue to dialogue represents a once in a lifetime opportunity for designers and architects to play a pivotal role in re-shaping the market – not one to miss. World-famous industrial designer Terence Woodgate will talk about the differences in approach between designing for yourself and designing for a company. Nicholas Ling, Foster + Partners and Farhad Rahim, ChapmanBDSP will join to discuss hospitality lighting and its blend with architecture using their recent work together at the ME hotel in London as a case study. Patrick Arends, Mecanoo and Laura Phillips, Buro Happold will explain the design challenges of meeting BREEAM Excellent standards at the Library of Birmingham. John Bullock, jb-ld will tackle residential lighting design, where it has become obvious that there is an underlying matrix of rules and guidelines that inform every project. Here John will dissect his ‘rules of three’ for visitors to the sessions. Also joining the programme are Kevin Grant from Lighting Alliance and Sam Woodward, Head Of Control Systems, Havells Sylvania Europe (incorporating Concord) who will both explain how to use light to attract and influence the movement of people, provide information and create visually stimulating destinations and memorable places where people want to spend time… and money. Guests of the Designers With Light Forum are welcomed to the Lighting Design Family Tree sponsored by Xicato. During the late night opening on Monday evening lighting designers are invited to get their Polaroid taken and placed on the Lighting Design Family Tree. Stemming from when Sharon Stammers and Martin Lupton set up the Light Collective which spurred them on to create a map of the UK lighting design profession back in 2011. May Design Series brings the lighting industry the chance to network and the chance to see how different practices and practitioners are connected. The full speaker schedule is available at www.designerswithlight.com. May Design Series 2014 will amass close to 400 exhibitors in 5 distinct sectors right through from Furniture, Decor, Lighting , Kitchens & Bathrooms and DX. The Furniture Show at May Design Series, new for 2014 will welcome a preview of what is to come in 2015 -the destination for new products covering each interior space.